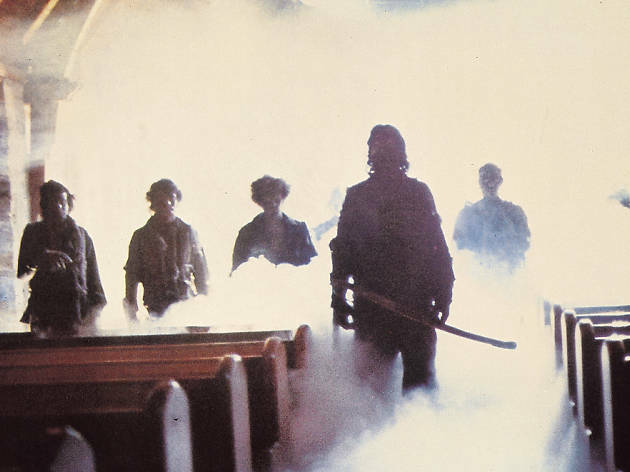 The Fog will disappoint those expecting a re-run of the creepy scares from Halloween. 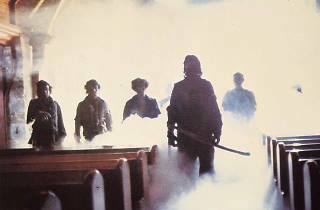 Instead, expanding enormously on the fantasy elements of his earlier films, Carpenter has turned in a full-scale thriller of the supernatural, as a sinister fog bank comes rolling in off the sea to take revenge on the smug little town of Antonio Bay, N. Calif. No shotguns pumping; no prowling of dark corners; no tricksy dry-ice chills. Instead you'll find a masterful simplicity of style, a lonely and determined group of characters under siege, and a childlike sense of brooding fear that almost disappeared in the '70s. Carpenter's confidence is outrageous; the range of his models even more so (from Poe to RKO); and the achievement is all his own, despite ragged moments and occasional hesitations.